This entry was posted in Print News, Tips & Tricks on March 15, 2017 by Shawn Nag. The McAfee Identity Protection badge is awarded to e-commerce sites that actively participate in online insurance that helps you cover the costs associated with getting your lives back after unfortunate identity theft. Once the McAfee service is enabled, you’re protected forever. When visiting the PrintPapa website, shoppers will now see a Google Trusted Store and a McAfee Secure badge and can click on either for more information. When a shopper makes a purchase at a Google Trusted Store, they have the option to select free purchase protection from Google. Then in the unlikely event of an issue with their purchase, they can request Google’s help, and Google will work with PrintPapa and the customer to address the issue. As part of this, Google offers up to $1,000 lifetime purchase protection for eligible purchases. Google Trusted Stores is entirely free, both for shoppers and for online stores. McAfee Identity Protection is also entirely free upon service activation, so consumers can rest assured, buying from PrintPapa is always a safe and secure experience. This entry was posted in New @PrintPapa, Print News on February 3, 2017 by Shawn Nag. You might be surprised to learn the benefits of hiring a local printer versus a chain store. At a corporate shop, you’re likely to deal with a new employee every time you visit. At local printers, employees have been around a while, allowing you to form business relationships, not only with the designer and printer, but with support staff like accounting personnel. The staff, in turn, will be more likely to work with you to make you happy, lest they have to deal with an unhappy customer the next time you order. Local firms often have more options and are more likely to innovate for your orders. Things like die-cutting and specialty papers can be ordered without extra hassle. There are no bureaucratic impediments to innovation, and cutting edge software and equipment are more prevalent. This entry was posted in Fun Stuff, Print News, Tips & Tricks on January 23, 2017 by Shawn Nag. 1. Real estate is all about word of mouth, my past clients and my current listings market for me. Word of mouth is the best form of advertising, but it’s rarely enough. Even if you have a strong referral base in your favor, if you aren’t keeping a moving stream of new customer leads, you’re at risk when the tides change in your competitive environment. You can’t afford not to spend on advertising if you’re banking on long-term viability for your business. Marketing doesn’t have to be expensive. Business cards, for example, are one of the most cost-effective print marketing tools. Think of them as miniature ads and maximize the ‘real estate’ on your cards. You can use the back to print to provide useful info and calls to action, such as testimonials and free offers. Or use creative magnetic business cards to stay in front of your prospects every time they hit the fridge! When promoting your existing listings, make your printed real estate flyers and brochures work harder for you. Showcase not only the property, but your services as well – what you offer to sellers and/or buyers. You’ve seen how many people stop by and pick up real estate flyers out of curiosity, even if they’re not currently in the market. Those are your future customers, make an impression both in person and on paper. Do stay in touch with your customer base in thoughtful and creative ways that encourage them to keep you in mind and refer you to friends. Send personal or useful gestures such as holiday greeting cards, notepads or mini-calendar magnets. Follow up with buyers after closing to welcome them to their new home. 2. The more exposure you get, the better. Think you need to get your face plastered on billboards, in newspapers and in other media with your ads to get listing and buyers? Think again. Effective real estate marketing is not about getting in front of more people more often, it’s about getting in front of the right people in the right way. What is your target audience? Are you focused on a particular neighborhood, demographic or income level? Use the right medium and messaging that reflects your unique value proposition and your target market. A combination of print and internet exposure is critical for an integrated marketing strategy. Done right, direct mail real estate postcards can be a powerful sales-booster with cost/benefits you can easily measure. Learn how to build a successful mail campaign and calculate your ROI with our Direct Mail Tips and our affordable mailing services. Use the new Every Door Direct Mail Program or EDDM to reach specific cities, zip codes, carrier routes or geographic areas cheaply. Surveys have shown that more than 70% of sellers and buyers use the first realtor they contact. Give prospects a reason to contact you or visit your website now. On your business cards, postcards, door hangers or flyers, point to resources on your site that are useful anytime such as local real estate updates, free home valuation service, home maintenance checklists or a blog for issues in your target neighborhoods. 3. You can’t compete with the “big guys” marketing budgets or more experienced agents. This is a fallacy in every industry. In fact, you can compete well if you consider what do that the larger brokerages or long-time realtors don’t offer. Do you send new listings by email to buyers or share your clients’ environmentally-responsible practices, such as using sustainably-produced paper for your printed marketing and contract documents? Or maybe you exclusively work with buyers. Zero in on the advantages you provide or could offer that will distinguish you and get the message across in the cost-effective ways we’ve mentioned here. More than most industries, real estate is about building trusted relationships. Find out what your target market cares about most and explain how you are a good fit for their needs. Don’t be hesitant to tout your accomplishments and ask for your customers’ business. The more honest, confident and competent you come across, the more trust you’ll earn and the better your chances for riding out the storm of any downturn. This entry was posted in Fun Stuff, Marketing, Print News on January 20, 2017 by Shawn Nag. Attending trade shows to promote your business can be an expensive venture. Most marketing departments will tell you that you need a full booth with giveaway items and raffles to make your investment worth the buy in – but that’s not always the case. In fact, having the freedom to roam to the floor rather than be tethered to a booth could help you better target other vendors that you want to network with. For most trade shows, the cost of admission is far greater than the cost of renting booth space, but with proper planning, the value could be even higher. This approach isn’t right for all companies, and will vary depending on the size of the trade show and other vendors in attendance – but often works for small businesses that are focused on growing. Of course, by taking this approach, you could be at the disadvantage of not having marketing materials on hand when the perfect lead comes along. 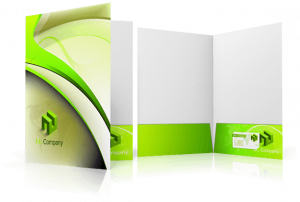 With proper planning you can carry everything you need in branded presentation folders. Full size presentation folders have four pockets, giving you plenty of room to include several different types of printed material, with options for business card slot holders as well. This option tends to work best as it holds all standard size sheets of paper. Alternatively, we do offer mini-presentation folder printing with tri-fold options that are perfect for smaller print promotional materials. How Much Can You Fit in a Presentation Folder? With up to four presentation folder pockets to organize, you can fit a significant amount of marketing material in each to bring to trade shows. Business sales sheets or promotional flyers to hand out would be perfect for a B2B type conference. Attending a B2C trade show without a booth would take a different approach where you may want to fill your presentation folder with custom stickers or promotional postcards to hand out. Of course, you will always want to carry your business cards with you when in attendance at a trade show. Be sure to check with event organizers to make sure that you are allowed to bring in your own presentation folders before getting to the event floor. In most cases, as long as you are respectful and strategic with your approach, most organizers will be happy to have you there – perhaps researching to rent a booth at the next one! One of the best parts about trade shows is that everyone is there to network with each other. A smile, professional demeanor and custom printed promo material can go a long way for the cost of admission. Don’t limit yourself to our suggested items above either – we are a one stop shop for trade show printing needs and can help you from design to delivery! This entry was posted in Fun Stuff, Marketing, Print News on January 5, 2017 by Shawn Nag. We all know the benefits of educating our staff. The better they can be equipped to do their jobs, the more effectively they will work. So why does this principle not apply to buyers? If our customers have the right skills, it benefits both their company and the printer. The customer will get more out of using their supplier – and the supplier will find the customer more efficient to deal with. These days, many buyers do not have the skills to carry out their jobs properly and this is having an adverse effect on our industry. Many companies worry that if customers know more, they will become harder to deal with. Conventional wisdom argues that if buyers are more knowledgeable about print, then they will be able to shop around more and be better equipped to drive prices even lower. It’s important to realise that training print buyers is not all about the technical side of things. Most printing companies that offer customer training tend to focus on the print process and how to create specifications. I would argue that this knowledge should actually be a low priority when it comes to educating buyers. Instead, there are some other basic skills that will be of greater benefit to everyone involved. Many people do not realise how powerful communication can be if we combine different communication methods. Even if they do understand this, they usually do not know how to achieve this. Part of the education process should involve explaining how print can fit into a multi-channel mix. This is not about how to raise a specification, nor is it about what type of printing company to use. This is about understanding the difference between price and cost. It is about understanding when to start talking to a supplier and how they can help you create the right solution. It’s about how to manage your suppliers effectively and build a beneficial relationship. If your customers understand how to manage their supplier then it allows you to work with them. This, in turn, allows you to educate them on the more technical side of things as a relationship builds. So who should be responsible for educating buyers? The whole industry needs to come together on this. Everyone needs to do their part, including industry bodies, equipment manufacturers and, last but not least, individual companies. Remember, customer training is as important as staff training: ignore it at your peril. This entry was posted in Fun Stuff, Print News on January 4, 2017 by Shawn Nag. In a recent review of Target Marketing’s 2016 Media Usage Survey we see print continuing to be a strong choice for marketers. 1. Digital Media Continues to Grow. 2. Direct Mail is Still a Strong Choice. 3. Print Maintains a Significant Position in the Budget. 5. Use of Direct Mail is On the Upswing. Print makes good business sense. This entry was posted in Fun Stuff, Print News on January 3, 2017 by Shawn Nag. Thanks to the brilliance of modern branding and logo design, most companies today seem like creations of the modern world, despite almost all of them being rooted in the 20th century. (Some, like Coca-Cola, are even older). In fact, very few brands launched in the current century have yet become truly global concerns. That will change over time, of course, as young upstarts grow and take the place of older rivals. But right now, companies founded during years that start with a ‘19’ continue to rule the roost. There are exceptions, however, and not surprisingly they all come from the fast-moving tech world. In this post we pay tribute to some of the movers and shakers who’ve stirred things up in the 2000s and 2010s, and the branding that’s helped them establish that dominance. Once upon a time, a long time ago, there were two rival browsers dominating the web: Microsoft’s Internet Explorer and Netscape. The former eventually eclipsed the latter, but out of Netscape’s ashes came a new browser, based on the same code, and created as part of an open source project. 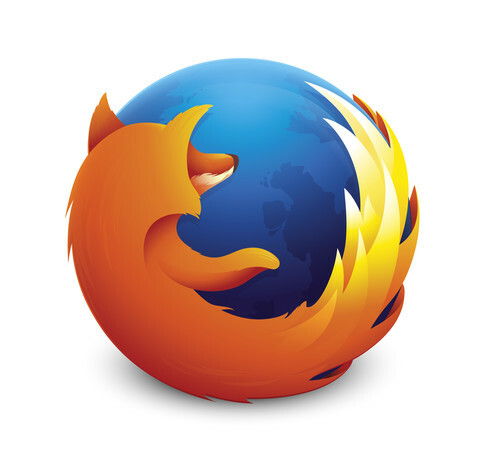 The logo for what became Firefox 0.8, launched in 2004, was a concept from Daniel Burka, that was sketched by Stephen Desroches and then rendered by Jon Hicks using Fireworks MX; you can read more about how it was created here. The strikingly literal logo has been tweaked and updated many times since, and yet its basic essence remains: a true modern classic. If the early years of the century saw tech observers fretting over the dominance of Internet Explorer, the ensuing years put their minds firmly at rest. Following the success of Firefox, in 2008 Google launched its own browser too, Chrome, and it wasn’t a bad move at all: by November this year StatCounter estimated it had a 51 per cent share across all web platforms. 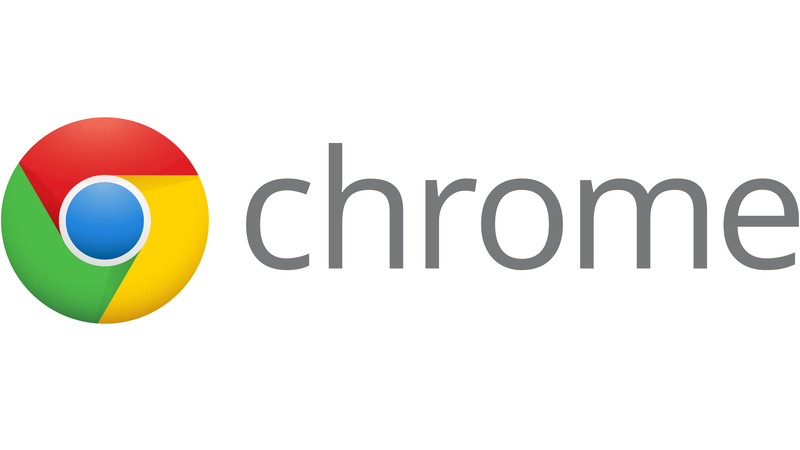 Created by illustrator Michael Lopez and front-end tech lead Ben Goodger, amongst others, the Chrome logo tied in nicely with the company’s overall look, extracting the red, green, yellow and blue colours from the letters of the main Google logo. The original design had a glossy, 3D skeuomorphic look, but was given a simplified, flat makeover in 2011 that has pretty much stuck to this day. It’s hard to remember a time when social media meant Friendster and MySpace. But it was only in 2004 that Mark Zuckerberg launched Facebook onto the students of Harvard University, eventually infecting the entire globe with its schema of pokes, shares, likes and status updates. Designed by Cuban Council in 2006 in collaboration with Joe Kral and Peter Markatos. the Facebook logo has become one of the most recognised symbols in the world today. Largely unchanged since then, it features a slightly modified form of the Klavika Bold typeface. This 2015 version of the wordmark was designed in collaboration by Facebook’s in-house design team and Eric Olson of Process Type Foundry. While Facebook has become one of the world’s most profitable companies, its real-time rival Twitter is still trying to work out how to monetise. But the microblogging service, created in 2006 by Jack Dorsey, Noah Glass, Biz Stone and Evan Williams, has nonetheless made a huge impact on the world, from the Arab Spring uprisings to the success of Donald Trump. As such, the Twitter logo has remained constant, and the brand is determined that it remain so. “The Twitter logo is a powerful symbol for what’s happening in the world now, and the power of the voices and unique conversations that happen on the platform everyday,” they point out, in urging people to stick to its strict brand guidelines. 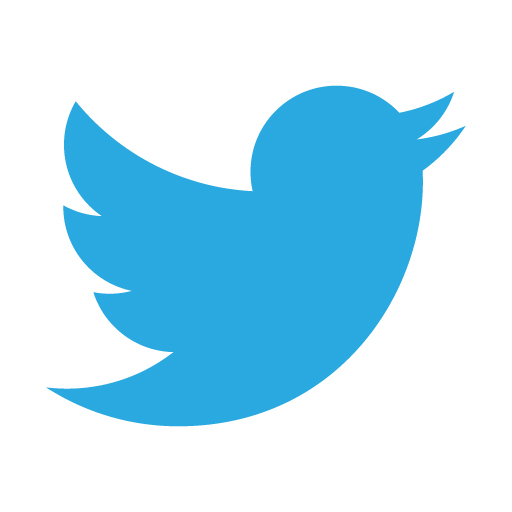 The original wordmark for Twitter was created by graphic designer Linda Gavin, who was given just one day to develop a new logo in time for its official launch on July 15 2006. The third Twitter redesign, created by in-house designer Douglas Bowman and released on June 5 2012, saw the introduction of the famous bird icon. You can learn more about Twitter’s logo evolution here. In fact, it’s become such an institution, so quickly, that this year there were howls of anguish over the dumping of the ‘classic’ Netflix logo in a favour of a minimal red ‘N’ icon. 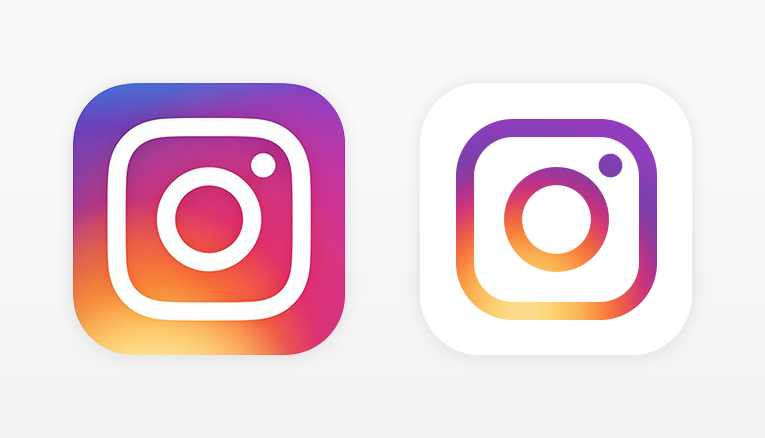 The good news is that those fears were unfounded: the latter is a secondary icon for use at very small sizes, and doesn’t replace the tried and tested wordmark. While that logo has been tweaked and flattened over the years, it retains its essential essence, with a pleasing curve to its seven letters that conveys idea of a comfortable, widescreen experience. You can see the latest version above, designed by Gretel. 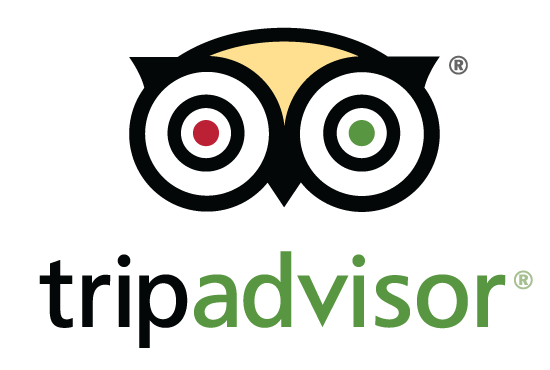 How did we manage to book hotels before TripAdvisor? The online travel forum, founded in 2000, has made good customer service paramount for any tourist-facing business in 2016, and a jolly good thing too. It’s logo has become an icon, proudly displayed by the best-awarded businesses, with its owl emblem representing the wisdom of planning your trip ahead, and the binoculars symbolising the search for a good deal. Did you ever notice that one of the bird’s eyes is red and the other green? This is a traffic light effect, symbolising the places tourists choose to visit (green) and not to visit (red). While TripAdvisor has changed the way hotels operate, Airbnb has changed what we think of as a hotel. Enabling normal people to rent out rooms to visitors has opened up a whole new type of tourism, which the company is keen to trumpet with its slogan: ‘Don’t Go There. Live there’. Launched in 2008, Airbnb had fairly mundane branding until it released its current logo design in 2014 to howls of controversy and comparison of the graphic with genitalia. Since then, though, it’s bedded in nicely and has become instantly recognisable wherever it appears, from giant billboards to tiny mobile screens. Created by DesignStudio, we’d argue it’s already become a modern design classic. Launched in 2010, image-based social network Instagram was the first to have Facebook seriously worried. So they bought it, two years later, for an estimated $1billion. In the same year, Instagram debuted its faux-leather camera icon, which its massive worldwide community took to their hearts. There was a big backlash this May, then, when that skeuomorphic design was jettisoned for a radical flat redesign (shown above). But despite all the wailing and gnashing of teeth, it’s unarguably a more flexible design for small screen sizes, as Ian Spalter, Instagram’s head of design, wrote in a blog post on Medium. And we rather like it. Time will tell, but we think that eventually, the world will too. This entry was posted in Design Tips, Fun Stuff, Print News on December 30, 2016 by Shawn Nag. Most print ads feature some combination of photography and typography. 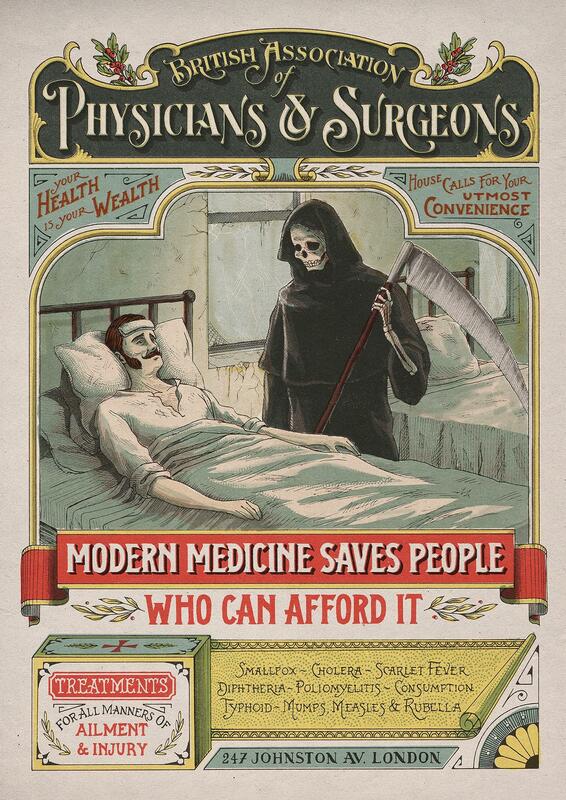 But when you next come to design a print ad, ask yourself whether a custom illustration could do the job better? To show you what we mean, in this post we’ve brought together 10 great examples of illustration in print ads from around the world. Of course there are plenty more besides, so we’d love to see your favourites too. 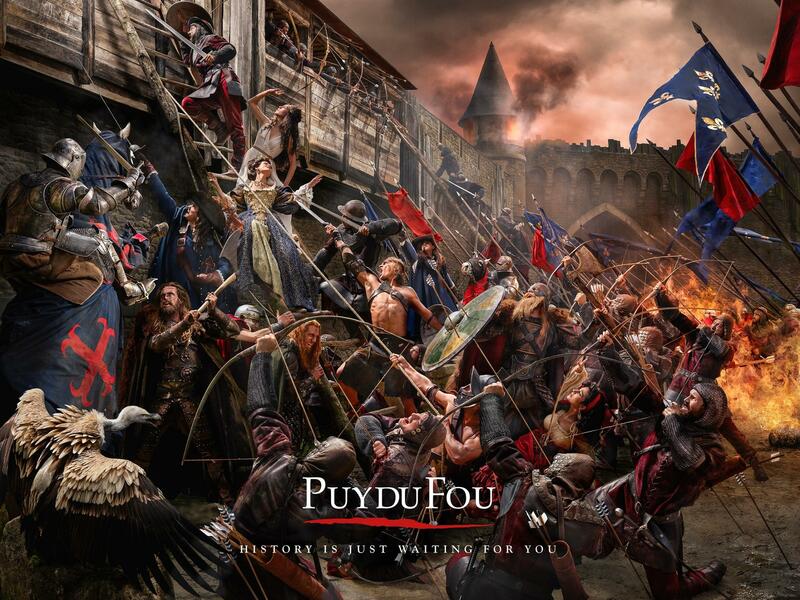 This epic advert was created by French agency Les Gros Mots to promote Puy du Fou, a historical theme park in the Vendée region of western France. Illustrated by Julien Joly, it cleverly draws on frescoes combining all the different eras that visitors can experience at the attraction. This ad to promote a rock radio station is the work of Sao Paolo agency Lua Propaganda, with illustration by 2020 Studios. 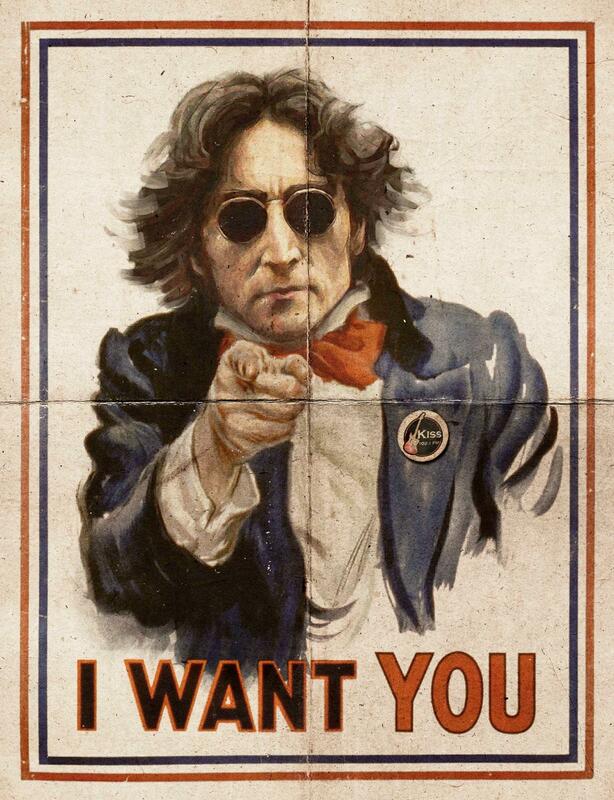 It smartly updates James Montgomery Flagg’s 1917 “I Want You” Poster for the American war effort, swapping Uncle Sam for John Lennon. The radio station itself features only on a small badge on Lennon’s chest, a subtle detail that somehow makes the message all the more powerful. We’ve all become so used to shocking photography of disaster zones that we’ve started to become immune to it. 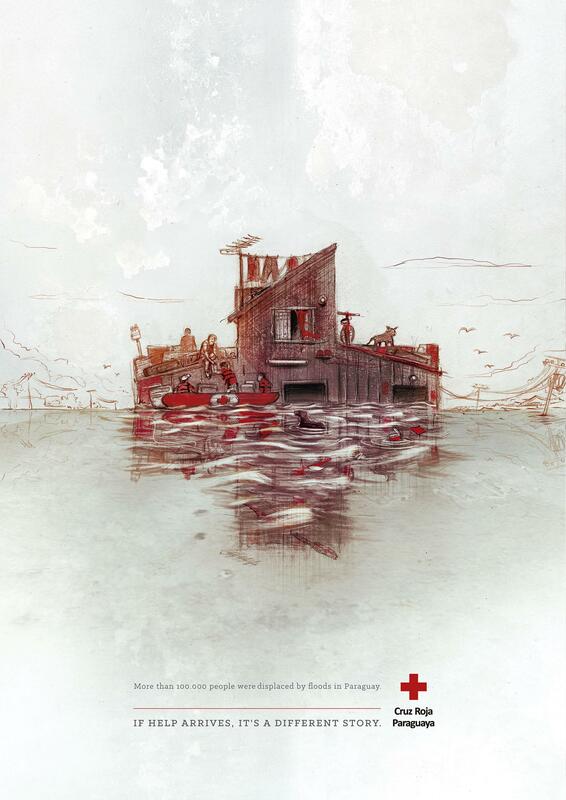 Consequently, an illustration can sometimes be more effective, and that’s certainly the case with this grimly evocative scene for an attention-raising campaign for the Red Cross. It was created by Paraguay agency Verde and the illustration was by Edgar Arce. 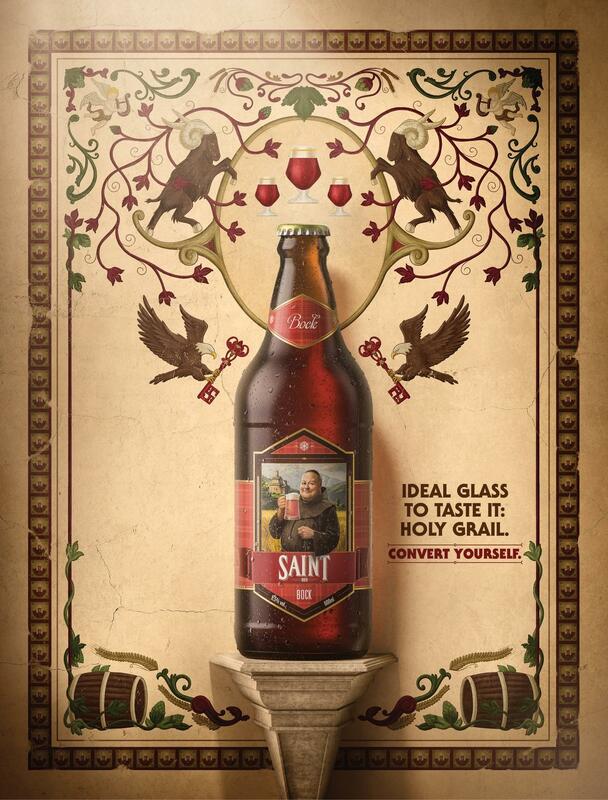 Catholic monasteries have long been associated with the brewing of strong beer. and this tongue-in-cheek tableau, with the tagline “Convert yourself” and a slightly blasphemous reference to the Holy Grail, conveys the point succintly and stylishly. It was the work of Brazilian agency Propague and the illustration was by Pimp Studio. Another ad making effective use of vintage style illustration, this ad was part of a campaign for the Assassin’s Creed Syndicate videogame, which is set in Victorian England. While that era is often associated with the clipped accents and refined behaviours of costume drama, this impactful poster reminds us that it was a brutal time for many. It’s the work of Montreal agency Bleublancrouge, with illustration by Yeaaah Studio. This arresting, although somewhat headache inducing ad for Ford, comes with the tagline ‘Don’t Emoji and Drive’. 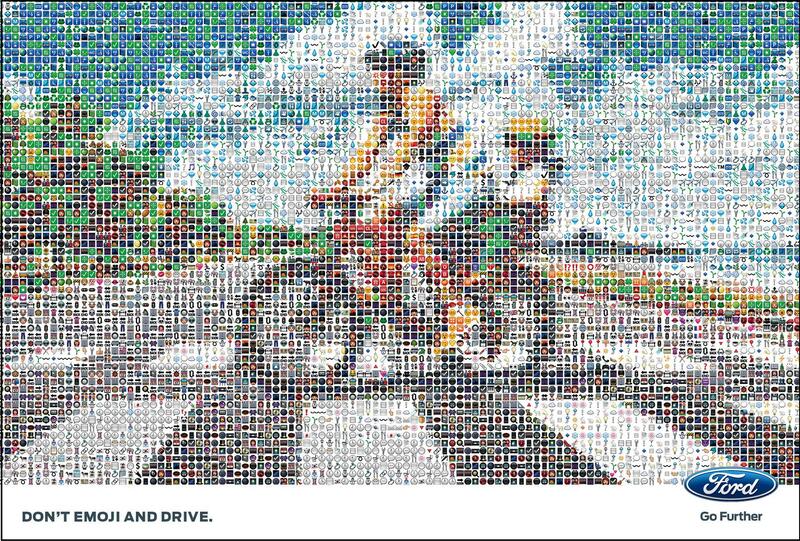 Using a very 2010s form of pointillism by creating an illustration from individual emojis, the ad was produced by BlueHive, the bespoke WPP agency for Ford’s advertising in Italy, with illustration created by Illusion. 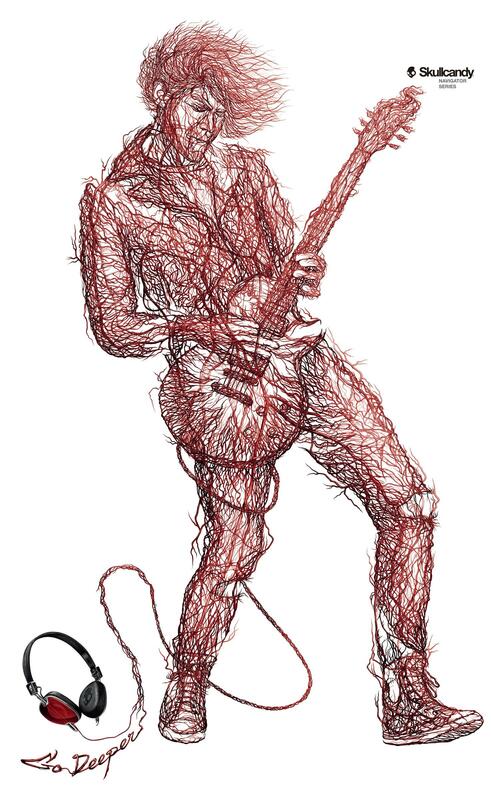 Now here’s an illustration that gets your attention. It was created for Skullcandy, a headphone brand keen to appear on the cutting edge, and this stunning print ad certainly does that. It’s the work of J. Walter Thompson Shanghai, and the illustration was created by Visionary Bangkok. 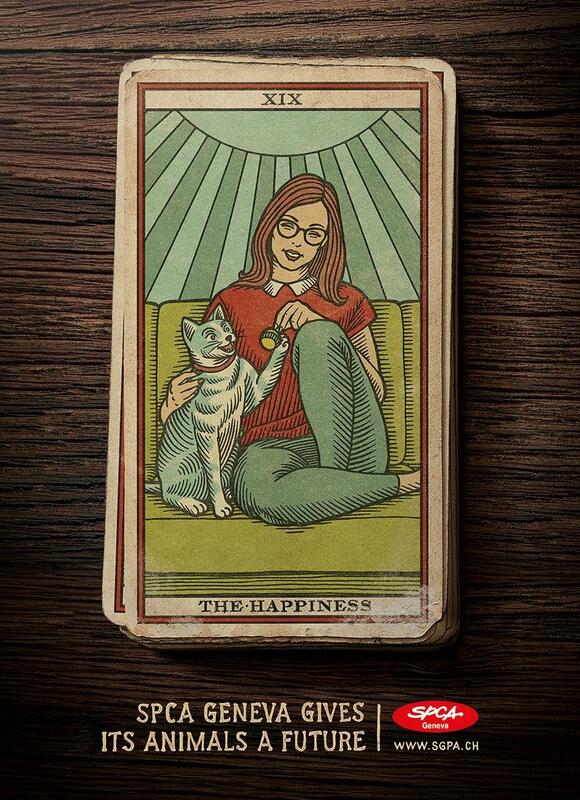 Playing on the idea of tarot cards, this lovely ad for the Society for the Protection of Cats sells its message without needing to get overly cutesy or sentimental. It was produced by Havas Suisse, with illustration by Yeaaah Studio. 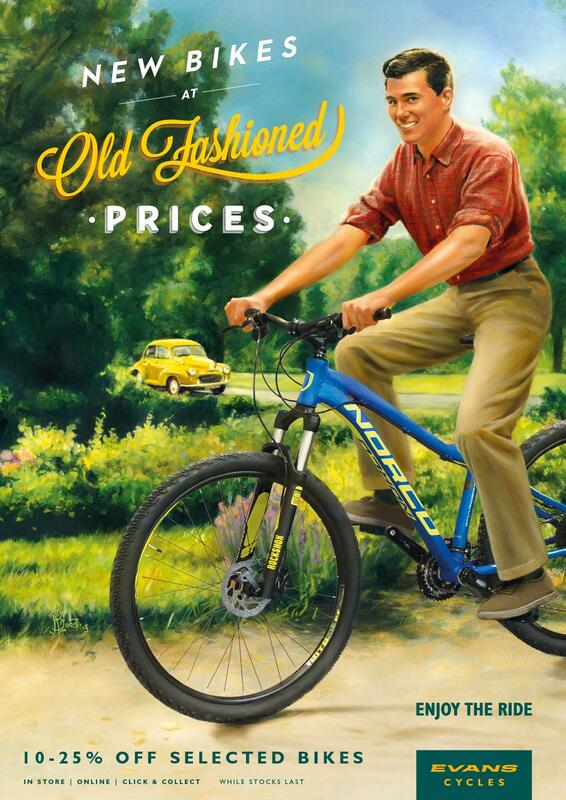 Vintage illustration mixes nostalgia with parody in this gorgeous print ad for Evans Cycles. It’s the creation of London agency Antidote and the illustrator was Bruce Emmett. 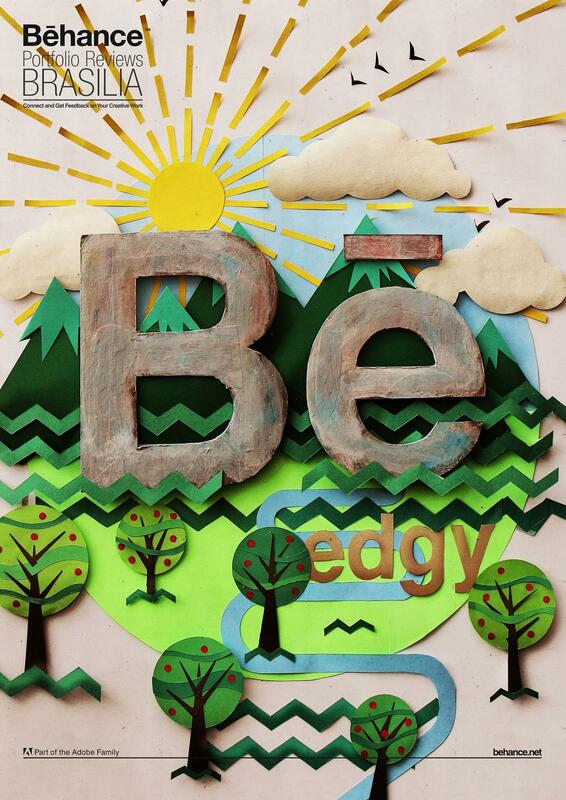 Owned by Adobe, Behance is a global portfolio sharing social network for creatives of all types. But it’s not just online: the company also brings together community members and top artists to carry out portfolio reviews in person. This ad to promote its Brazilian event features a stunning mixed media collage created by art director, illustrator and photographer Antonio Rodrigues Jr. This entry was posted in Fun Stuff, Print News on December 28, 2016 by Shawn Nag.